Sled Island Launches Full 2013 Schedule! Sled Island is proud to release its full 2013 festival schedule, featuring over 280 genre-defying bands across over 35 venues in Calgary, Alberta, happening day and night from June 19-22, 2013. Beyond the festival's headlining performers at Sled Island's main outdoor venue, Olympic Plaza, including Explosions In The Sky and The Jesus And Mary Chain, the festival includes jaw-dropping line-ups and surprises in unique and intimate settings around every corner. From festival curator-selected line-ups, including John Dwyer's (Thee Oh Sees) two-floor, eight-band party at the iconic #1 Royal Canadian Legion and Tim Hecker's mind-melting five band bill at the beautiful and new-to-Sled Island venue, Vertigo Theatre, to shows curated by TSN's Jay Onrait and Dave Hodge featuring indie darlings Joel Plaskett Emergency and Divine Fits (members of Spoon, Wolf Parade) at Flames Central. The newest additions to Sled Island's line-up include experimental-folk favourites Akron/Family, soul-shaking Vancouver-based rock & roll duo The Pack A.D. and the return of San Francisco indie-rockers The Dodos, who have a strong relationship with Calgary and its music fans through their touring work with the late Christopher Reimer of the band Women. From that same band, Matt Flegel's newest outfit, Viet Cong, make their festival debut while Calgary-heroes Ghostkeeper are sure to win over fans at Olympic Plaza. The overwhelming amount of music to be heard from June 19-22 is easier to navigate than ever before. Thanks to the Sled Island website's feature set, including a new-to-2013 personalized schedule as well as artist recommendations and genre sorting, the staggering amount of music to uncover is just a few simple clicks away. Of course, Sled Island is more than just music - with film screenings, art openings, comedy performances, panel discussions and more at all hours, there's something, well, many things actually, for everyone at this year's festival. Festival passes are on sale now online - a festival pass grants access to all music, art, comedy, film and workshop event at Sled Island subject to venue capacity. The Festival Discovery Pass is $199, the Festival Discovery Plus Pass is $349, the All-Ages Pass is $50 and the Film Pass is $30. More info at the Sled Island shop. Also, for a limited time EQ3 is offering a chance to win $1000 in credit towards Canadian-made custom upholstry when you purchase a Sled Island pass! Find out more details here. Sled Island is proud to continue to cultivate our Green Island initiatives and be a responsible member of our community. The Green Team is constantly working to better ourselves as an organization and become a leader in festival sustainability and enable others to do the same while enjoying their experiences at Sled Island! Do your part and bring your bike, put trash in its place and support our local community. Who says you can't fun while changing the world? Some of the new initiatives being implemented by Green Island at this year's festival include a Bike Valet service at Olympic Plaza and East Village courtesy of First Calgary Financial and expanded bike parking at many key venues including the #1 Legion, Palomino and Flames Central. Together with Cenovus Energy we are aiming to divert a minimum of 75% of our waste from the landfill, but we need everyones help to make this happen! Also, limited number of Bike Rentals will be available during the festival thanks to Good Life Community Bike Shop, find out more details here. We're also excited to announce that we'll be hosting a Green Island Bike Scavenger hunt on Sunday, June 16th as a pre-festival event. Check out the Facebook event to find out more details on how to sign up! In our dedication to putting on an age-inclusive festival, Sled Island features over 50 all-ages events including everything from small intimate concerts at Tubby Dog, New Black and the National Music Centre to the festival’s main outdoor venue at Olympic Plaza! These events are comprised of 26 shows, 74 bands, 16 film events, 11 art openings and more! Browse through the festival schedule or search the lineup by genre-tag "All Ages Option" to find out what's going on for the All-Ages crowd at Sled Island! Sled Island is proud to highlight three emerging Calgary acts that show that age and experience are not indicators of musical creativity. These three bands have no trouble fitting in with the road-tested bands they will be sharing bills with and are likely to inspire festival-goers, young and old, every bit as much, if not more, than those more established artists. We can’t recommend these guys enough! The Basement Demons - Doomy and gloomy noise punk played with unbridled enthusiasm! Faux Fur - Jean-Sebastien Audet’s lo-fi garage pop outfit that sound like seasoned vets! Un Blonde - Experimental 60s-inspired spacey pop that makes us all feel like kids again! 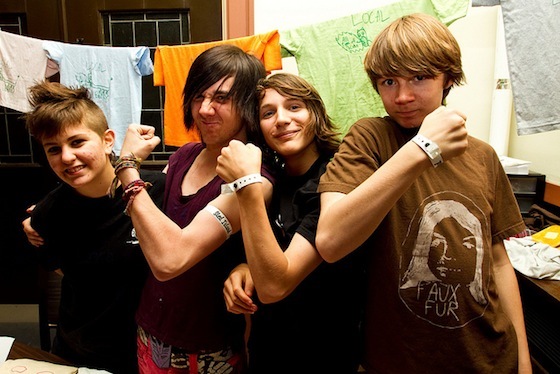 Created specifically for our "under 18" buddies, an All-Ages Pass offers full access to every single all-ages show during Sled Island subject to venue capacity. Whats the best part? All-Ages passes are only $50 bucks! Available at the Shop and at the Sled Island Office (cash only) in Calgary. We're releasing the next round of single tickets for select shows at Sled Island Music and Arts Festival 2013! While the Festival Discovery Pass is the recommended way to experience the overall festival, we realize not everyone has the chance to attend all four days. As such there are a limited amount of advance tickets available for select shows throughout the festival. 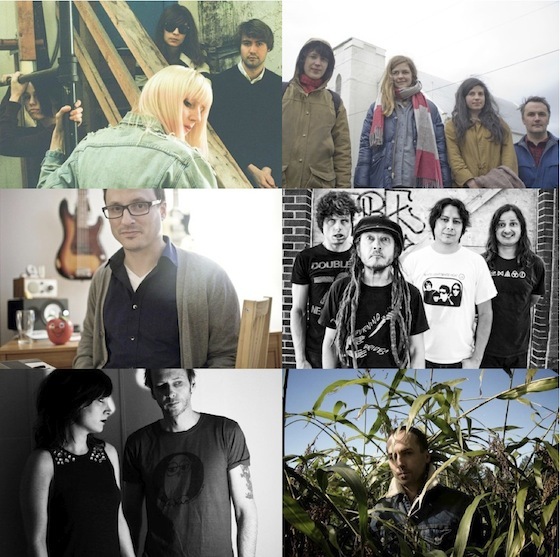 Additional tickets for select shows featuring performances by White Lung, CATL, Tim Hecker, Mount Eerie, Jim Bryson, July Talk and Jerusalem in My Heart are on sale now, get them right here. 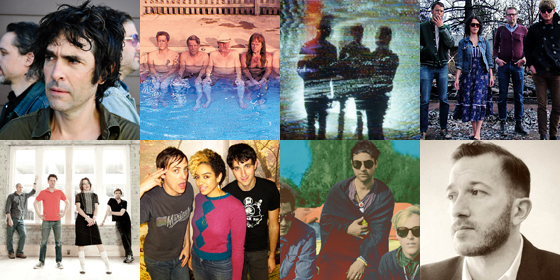 Tickets for these select shows are in addition to previously-released tickets for Olympic Plaza, Flames Central and many other shows including The Jon Spencer Blues Explosion, Swans, Superchunk, Unknown Mortal Orchestra, Iceage, Colin Stetson, Hollerado, Thee Oh Sees on sale now online and select retail outlets. Check out the Tickets page for the full listing of advance tickets on sale for shows at Sled Island from June 19 - 22. 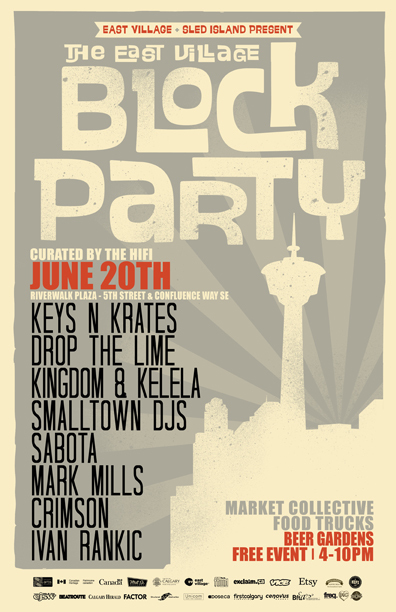 Sled Island is thrilled to be partnering with East Village for the return of the East Village Block Party, a free outdoor event curated by the HiFi Club on Thursday, June 20th at RiverWalk Plaza on 5th Street & Confluence Way SE. Following the great success of last year's inaugural event, we're pleased to present the following acts for the 2013 edition, live remix party band Keys N Krates, New York electronic producer and Trouble & Bass founder Drop The Lime, downbeat future R&B collab act Kingdom & Kelela and local electro veterans Smalltown DJs. Also catch the chill polyrhythmic grooves of Sabota, live dark dancepop artist Mark Mills, not to be missed Crimson and the cross genres breaks of Ivan Rankic at this year's East Village Block Party. In addition to these amazing acts we're happy to welcome back Market Collective, they will be setting up a local's crafter market on the Riverwalk and of course, everyone's favourite food trucks will be set up to deliver their tasty goods for the event from 4 - 10pm. This is a free outdoor, family-friendly event open to music fans of all-ages. There will also be an outdoor beer garden for the 18+ crowd to enjoy themselves. Get ready to dance in the open air with all your friends this June! RSVP for Facebook event here. Learn more about the East Village by checking out their Facebook page and visiting their website today. Akron/Family Joins Olympic Plaza Lineup! Believe it or not Sled Island is still adding bands to this year's lineup and we're not done yet. We're proud to announce that experimental folk pioneers Akron/Family have been added to perform at Olympic Plaza on Saturday, June 22nd on an already stacked lineup that includes The Jesus and Mary Chain, The Thermals, Mac DeMarco, Lowell plus a special guest to be announced! Advance tickets for Saturday at Olympic Plaza are on sale now for $50, get yours today. Olympic Plaza on Friday, June 21st is shaping up to be a magical night of music featuring performances by Explosions in the Sky, The Besnard Lakes plus another special guest to be announced. Tickets for Friday night at Olympic Plaza are on sale now for $40, get yours today. Stay tuned for more announcements coming soon including special guests at Olympic Plaza and even more lineup additions. The full schedule for Sled Island 2013 drops on Tuesday, May 28th. Sled Island is jam-packed with incredible shows at venues ranging from Calgary mainstays like Republik, Broken City and The HiFi Club to festival-specific sites like #1 Legion, Golden Age Club and more during the festival from June 19 - 22. While the Festival Discovery Pass is the recommended way to experience the overall festival, we realize not everyone has the chance to attend all four days. As such there are a limited amount of advance tickets available for select shows throughout the festival. Advance tickets for shows featuring headliner performances by Jon Spencer Blues Explosion, Superchunk, Hollerado, Iceage, Colin Steson, Torche, Swans, Thee Oh Sees, Metz, The Night Marchers, Ryan Hemsworth plus many more are on sale now! These single show tickets are in addition to the previously-released tickets for Olympic Plaza events featuring Explosions in the Sky with guests on Friday, June 21 and The Jesus and Mary Chain with guests on Saturday, June 22 plus Flames Central shows including Joel Plaskett Emergency with guests on Friday, June 21 and Divine Fits with guests on Saturday, June 22 on sale now. Check out the Tickets page for a full listing of advance tickets and get a preview of the festival schedule that we'll be announcing on May 28th. Physical tickets for the just-announced shows will be available at select retail outlets starting next week. 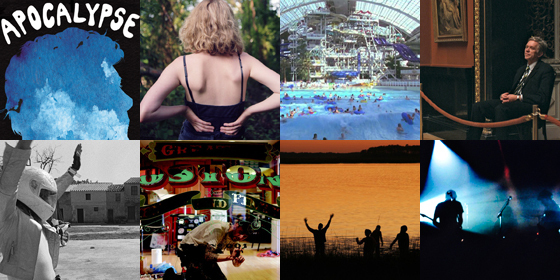 Sled Island Film Announces 2013 Program! The 2013 Sled Island film program is better than ever running from Tuesday, June 18 through to Tuesday, June 25, find Canadian and Alberta Premieres of concert films, documentaries, narrative features, community presentations, music videos, and guest curated international shorts. Events include an outdoor Secret Cinema Bike-In with CSIF, nightly after-parties at Milk Tiger Lounge, and our Closing Gala for The Legend of Kaspar Hauser ( La leggenda di Kaspar Hauser). Also, confirmed is an Artist Talk and Workshop with North Country Cinema guest curators Kyle Thomas and Alexander Carson. Be sure to check out the Canadian Premiere of Matt Porterfield's most recent feature film I Used to Be Darker with special guests in attendance. Sled Island and the Glenbow Museum are presenting the Alberta Premiere of Museum Hours directed by Jem Cohen, know for his Fugazi documentary (Instrument) and other collaborations with musicians including Patti Smith, Terry Riley, Godspeed You Black Emperor!, and R.E.M. The Mystery of Old Bathbath is a new puppet picture from Sled Island Alumni/Guest Curators (2010) Quintron & Miss Pussycat, and will be making it's Canadian Premiere at Tubby Dog! For a more complete look at the film program, click here. More special events and screenings to be announced in coming weeks. Your Sled Island Discovery and Discovery Plus Passes get you into all film events, All Ages screenings are available with your All-Ages Pass. Get your passes now! Individual tickets will be available soon.